Our guide to Galena will help you find the best bed and breakfasts in Galena Illinois. There are tons of great bed and breakfasts in the city of Galena, our city guide will help you find the best bed and breakfasts. You may have a hard time deciding what to do in Galena, but we make your decision easy. and 2nd location for Miss Annie's Academy of Victorian Arts. 208 Park Ave, (815) 777-1075 - Feel free to lose everyday stresses at our 1893 Queen Anne style home, a most unique place to "live" during your stay in historic Galena! There are plenty more bed and breakfasts in Galena. 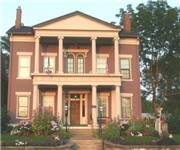 See all bed and breakfasts in Galena Illinois.